I am a resident of Wales and 16 years old or over. 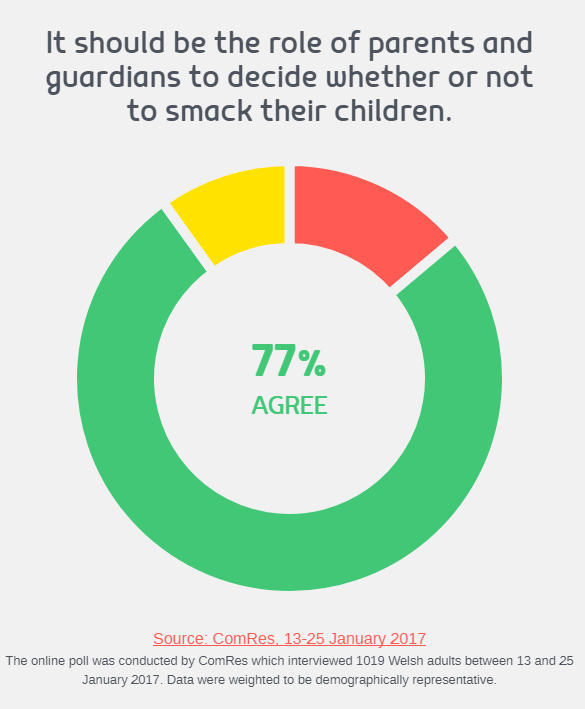 The online poll was conducted by ComRes which interviewed 1019 Welsh adults between 13 and 25 January 2017. Data were weighted to be demographically representative. Some 85% of Welsh adults were smacked as children. They are law-abiding citizens. Reasonable chastisement helps to train children to know how to behave, to set clear boundaries and to equip them for adult life. It has its basis in the unique relationship between parents and their children. Reasonable chastisement is a part of loving parenting. The present law is clear that ‘reasonable chastisement’ is acceptable and it is working. 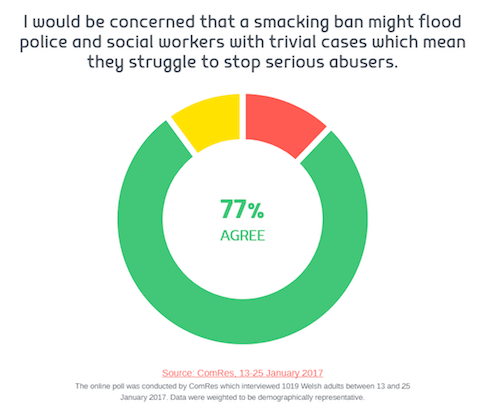 Banning smacking would only divert resources away from protecting abused children. The Welsh Government should concentrate on improving awareness of the current law, rather than seeking to abolish it. The ‘reasonable chastisement' defence prevents parents from being criminalised for smacking their children.